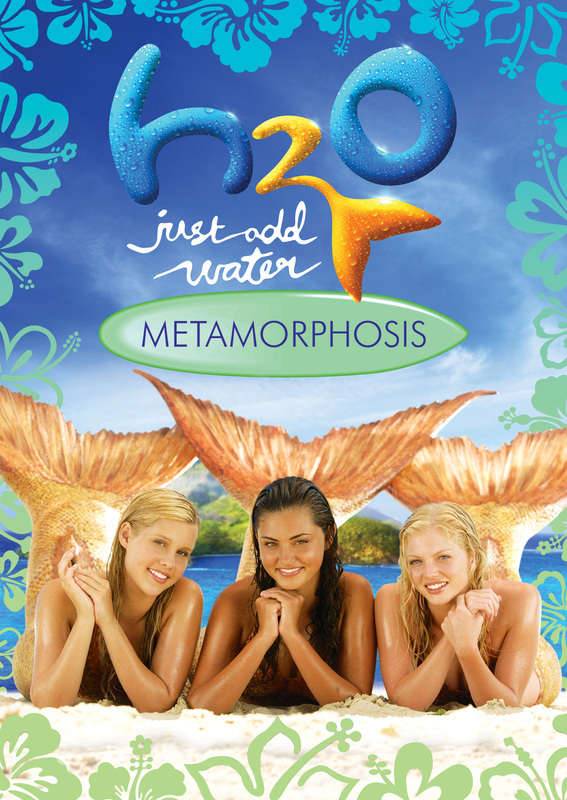 In H2O JUST ADD WATER: METAMORPHOSIS, Emma, Cleo and Rikki are three very different sixteen-year-old girls with one thing in common: they’re mermaids. After finding themselves accidentally stranded at sea floating toward mysterious Mako Island, they discover an underwater channel and swim to safety. They enter a wonderful, underwater world, but the nature of their new power draws them into wild adventures. The girls get off the island as fast as they can and back to ‘normal’ life. One by one, however, the girls find life is never going to be normal again, especially knowing the secret of their magic powers could be revealed to the world! Art and Design ©2013 New Video Group, Inc. All Rights Reserved. Marketed and distributed in the U.S. by New Video, licensed by ZDF Enterprises GmbH, Mainz.. ©2006 Film Finance Corporation Australia Limited, Pacific Film and Television Commission Pty Ltd and Jonathan M Shiff Productions Pty Limited.